You may be tempted to copy patient feedback from your Google, Yelp, and Facebook pages onto your website. But we (and Google!) recommend against this. Online feedback should be unique to the original source. Google has strict policies on the matter, and finding a review duplicated on another site could result in removal of the review. We don’t want that! 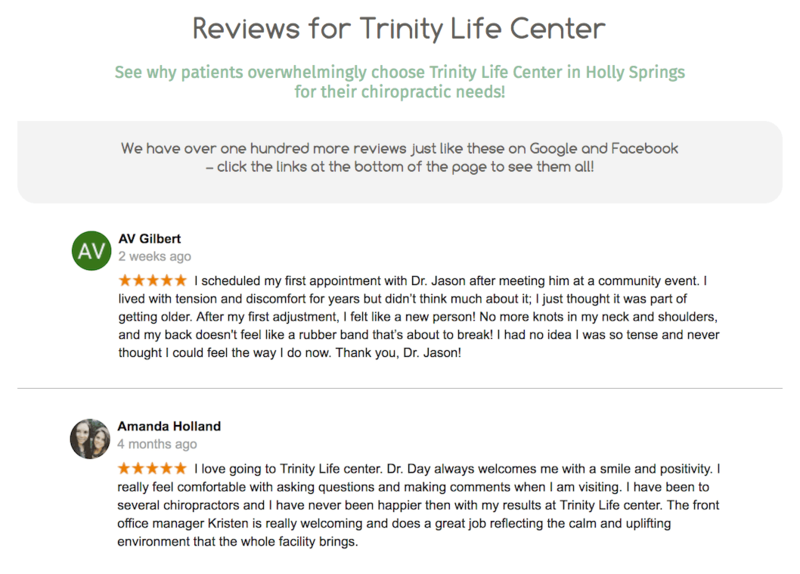 Ideally, you should acquire patient feedback that is uniquely written for your practice website. If you don’t have any, and you would like to showcase patient feedback from a review site, you can share the reviews as images. By taking a screenshot of a review and publishing it on your site as an image, it won’t be viewed as text; therefore, you aren’t at risk of creating duplicate content. Try to limit the amount of images to 10 or less, as too many can impact page load time, engagement, and mobile-optimization. Don’t forget, one of the best ways to gather patient feedback to showcase on your website is through the New Patient Survey. But, remember, to take advantage of this feature you must add new patients as subscribers.